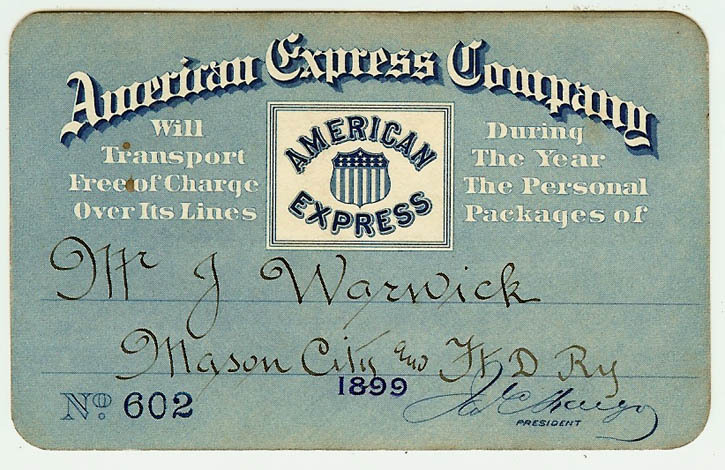 Express Company Pass No. 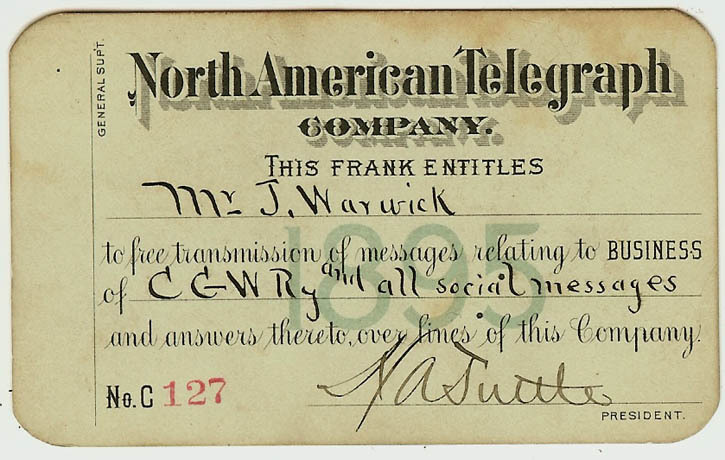 602, issued 1899, to John Warwick; countersigned by Charles Hays. 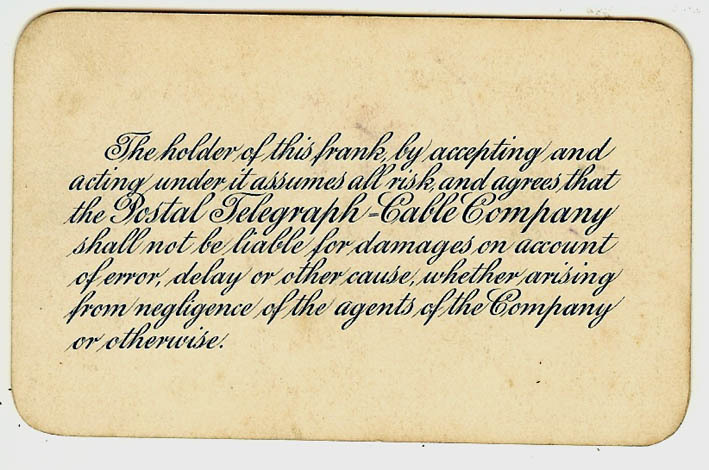 Telegraph Company Frank No. 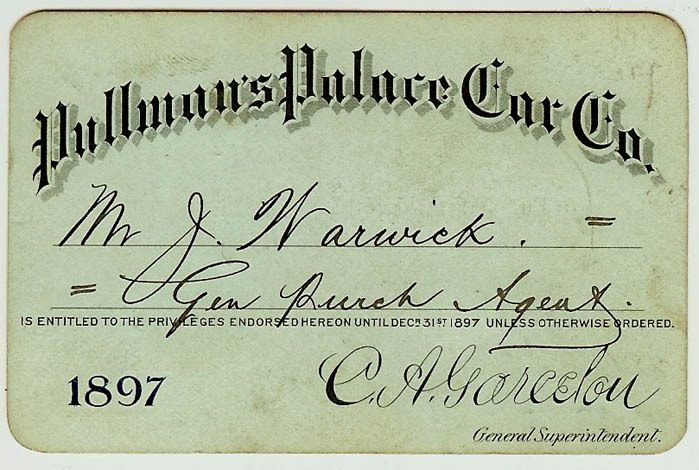 C127, issued 1895, to J. Warwick; signed by H.A. Tuttle as president on front. 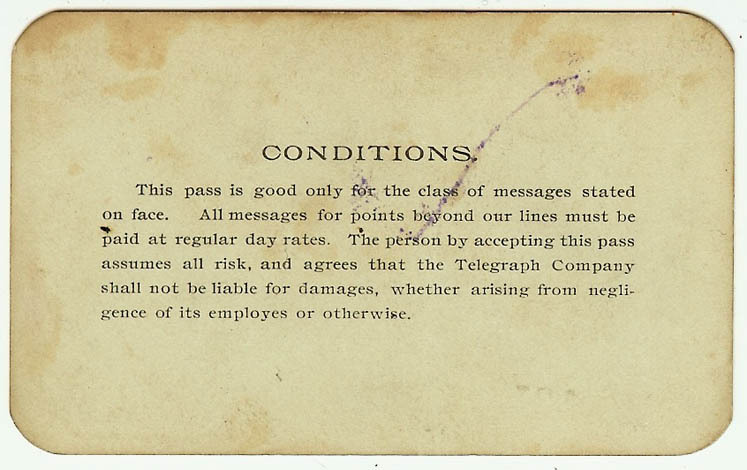 Telegraph Cable Company Pass No. 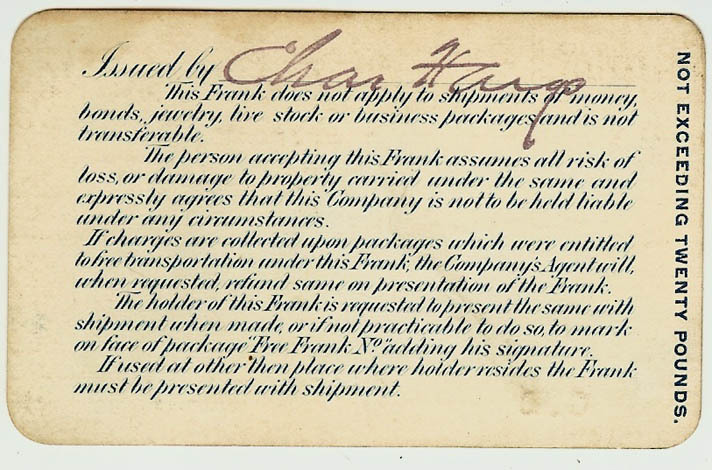 85, issued 1895, to J. Warwick; countersigned by W. B. Chandler, president. 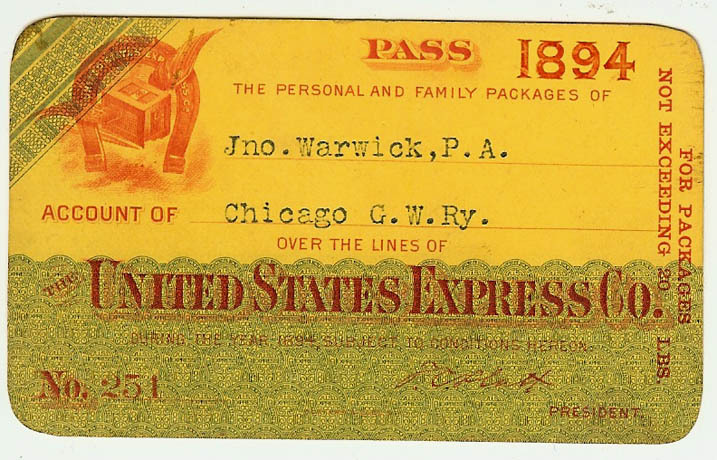 Pullman Palace Car Railroad Pass No. 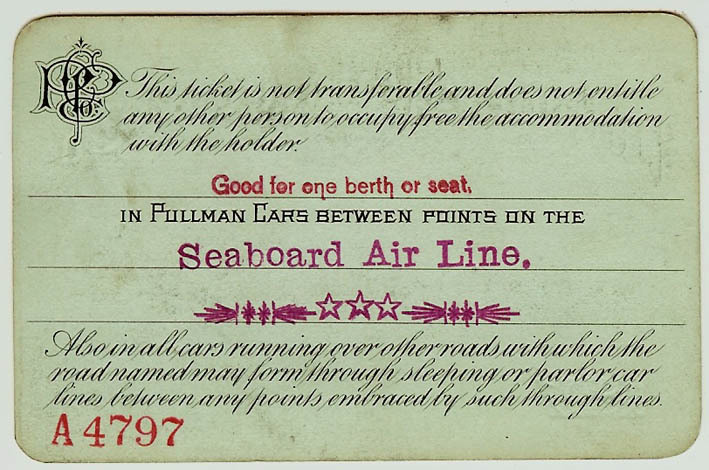 A4797, issued 1897, to J. Warwick, between points on the Seaboard Air Line. Good for one berth or seat. 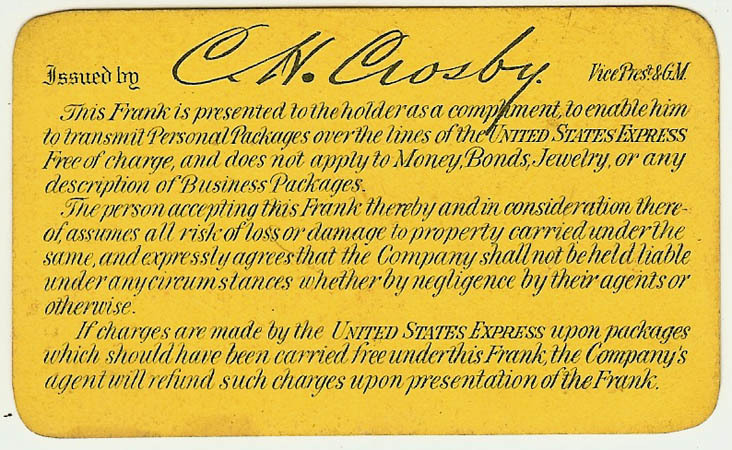 Express Company Pass No. 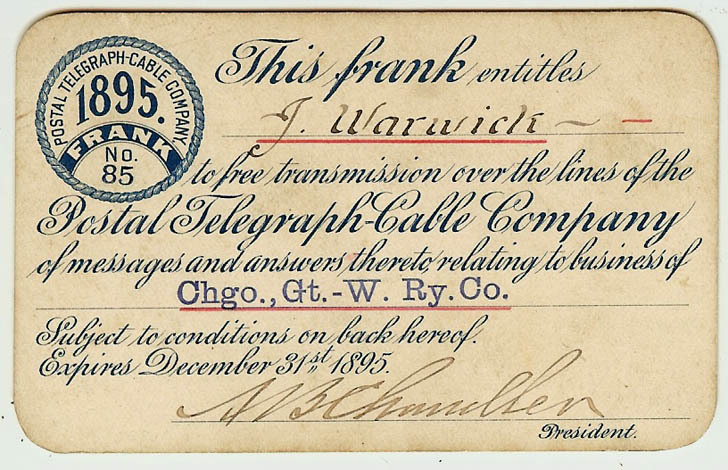 251, issued 1894 to John Warwick; countersigned by C.H. Crosby. 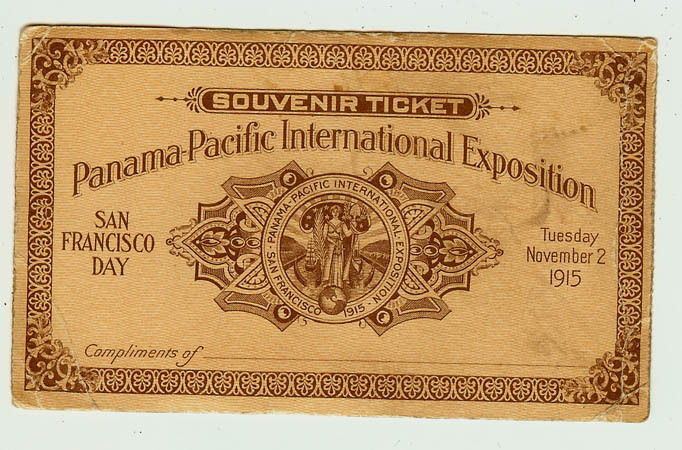 PANAMA-PACIFIC INTERNATIONAL EXPOSITION, Souvenir Ticket, No. 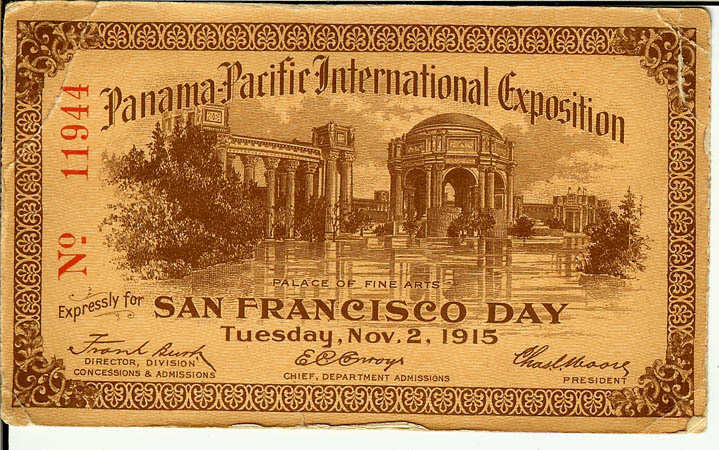 11944, San Francisco Day, Tuesday, November 2, 1915. Front depicts Palace of Fine Arts. 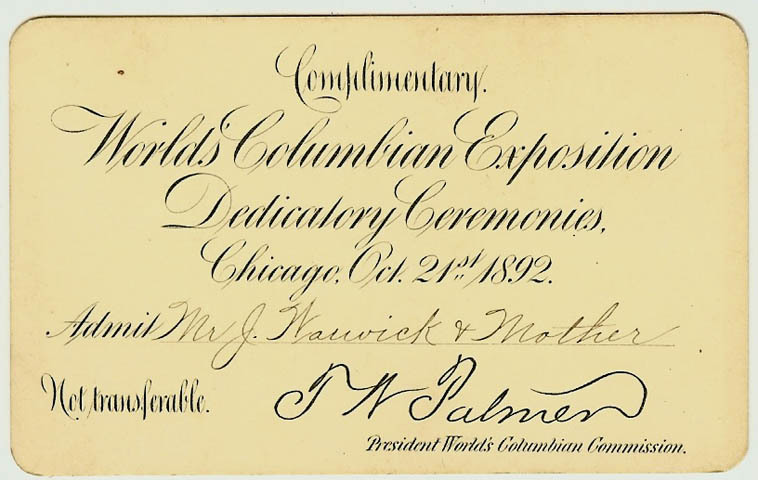 Original souvenir ticket from 1915. Dimensions: 11-1/2 mm x 7 mm. Condition: very good; edges slightly curled and corners bent. 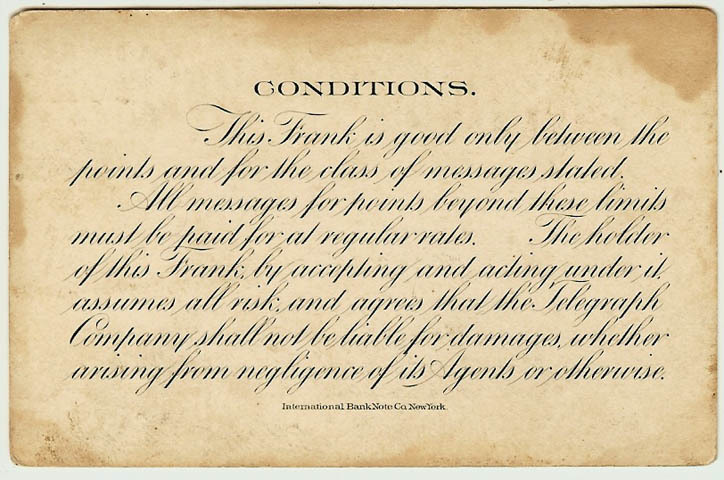 Telegraph Frank No. 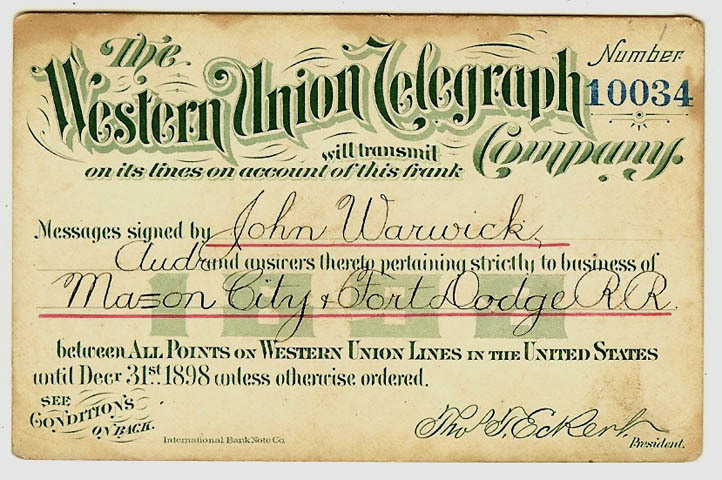 10034, issued 1898, to John Warwick. Condition: very good plus; some foxing.